Each year, American Girl announces a Girl of the Year. This year, that girl is Blaire Wilson, a creative girl growing up on her family’s sustainable farm and B&B in upstate New York. 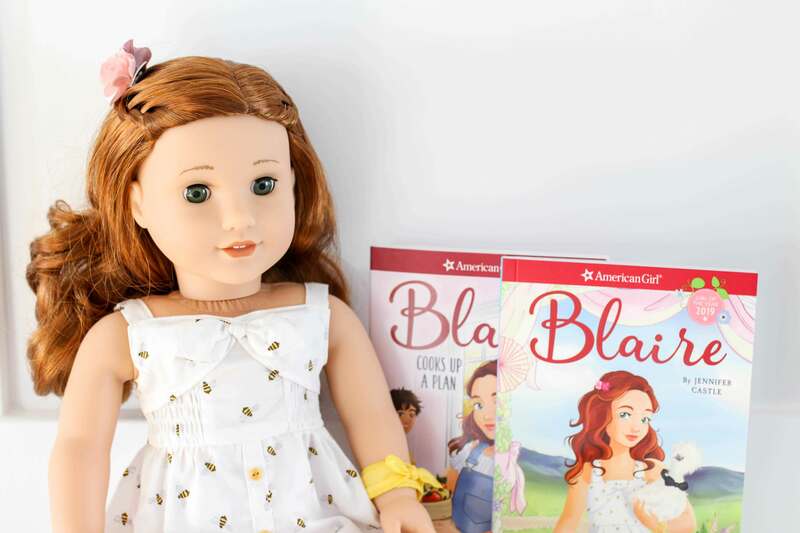 Blaire launched Jan. 1, 2019, with an 18-inch doll and several outfits, accessories, and products that reflect her experience planning events and working on the farm. As with other Girls of the Year, Blaire also comes with books. Blaire is included with the purchase of the doll. It, along with Blaire Cooks Up a Plan, can be purchased separately for $7.99 each from American Girl or Scholastic. 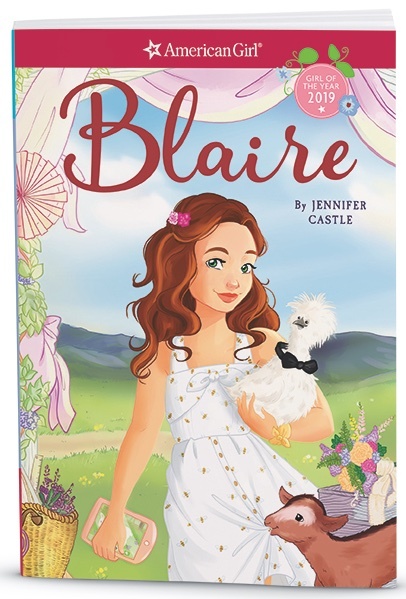 Two books are currently available in the Blaire line, both written by Jennifer Castle and published by American Girl and Scholastic. Chef. Decorator. Chicken wrangler. Blaire does it all at her family’s restaurant, inn, and farm. Her recent food sensitivity has made her time in the kitchen — and time with friends-a little tough. But now she’s got the perfect distraction — a wedding to plan! With her BFF by her side, and a million creative ideas saved on her tablet, Blaire is sure she can make the farm’s first wedding an epic celebration. A goat that does tricks. A lamb in pajamas. A celebrity who offers Blaire the opportunity of a lifetime. Things are never boring at Pleasant View Farm! Things get interesting at school, too. Blaire’s determined to find a BIG idea for the Community Service Challenge. Her project becomes personal when she befriends a young girl at the local food pantry. With a love of cooking and a farm full of fresh ingredients, Blaire soon has a plan for making a difference. But it’s going to take help from her whole class — including a mysterious new kid, Eli — to keep Blaire’s creativity from becoming a catastrophe. . . . I think of all Blaire’s character elements, it’s her food sensitivity that will resonate with most readers. Even if young girls don’t have one themselves, they most likely know at least one person with a food sensitivity or allergy. This gives readers an outlet to share their own experiences or better understand those of others. Author Jennifer Castle is an experienced author having already 10 books in addition to the Blaire books. That experience comes across in her writing, which is smooth and immediately accessible. As with the other GOTY books, both books do follow the formulaic American Girl pattern — girl is happy; girl faces problem; girl is sad; girl and friend/s work together to solve problem; happy ending. It’s a formula that’s been around for a long time, and it works, especially in the book-doll format. Blaire herself, doesn’t come across as mature as Luciana, last year’s GOTY. I think some of this comes from the setting, and I don’t think it’s a huge problem. I have seen a few complaints on Instagram and Facebook wishing Blaire was either more STEM oriented of a girl of color. I’d like to address both complaints. More and more, research is pushing for STEAM (science, technology, engineering, ART, math) instead of STEM alone. Blaire is a combination of both. She is artistic and creative and uses math in the kitchen and while planning events. I appreciate this whole-minded approach and understand that not every girl is going to want to be a scientist or astronaut even if she’s consistently exposed to those possibilities. Blaire is white. Last year’s GOTY, Luciana is Chilean-American — in other words, a girl of color. In 2017, Gabriela McBride, who is Black, was introduced. While it is true that there was significantly less diversity in previous GOTYs, it seems that American Girl has taken feedback to heart. It also makes sense, based on the previous two years, and the release of BeForever character Nanea Mitchell who is Polynesian in 2017, that the company would release a Caucasian character now. 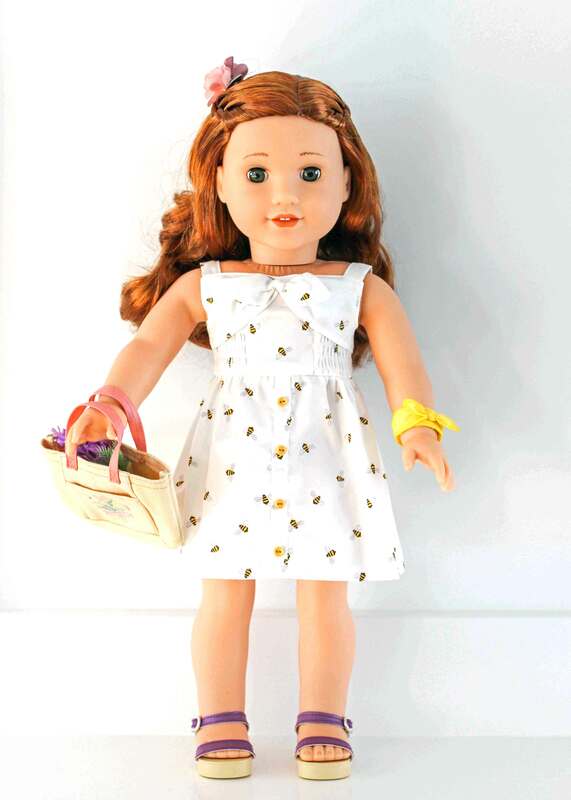 Price: Blaire is an 18-inch doll, which runs $115 for the doll and paperback book. 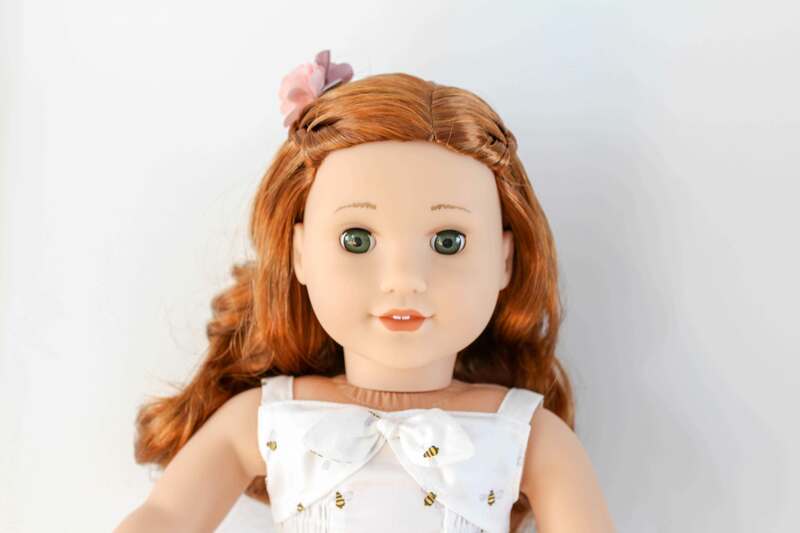 The 18-inch Truly Me customizable dolls are $115 for the doll. Body: Blaire features a cloth body and plastic extremities. Because her dress is a square neck, you do see where her plastic head and neck are attached to her cloth body. Her skin tone is lighter than previous dolls, but fits with her red hair. Face: Blaire’s face mold is the same one used for the Josefina doll. She has green eyes and bright lips. Eyes: Each doll seems to have some “controversy” surrounding it, and for Blaire, that debate is over her eyes, which are weighted differently than previous dolls. The complaint is that Blaire appears to be looking down. Upon opening her, I can attest to this observation. As other dolls appear to be looking out while sitting, Blaire appears to be glancing down. 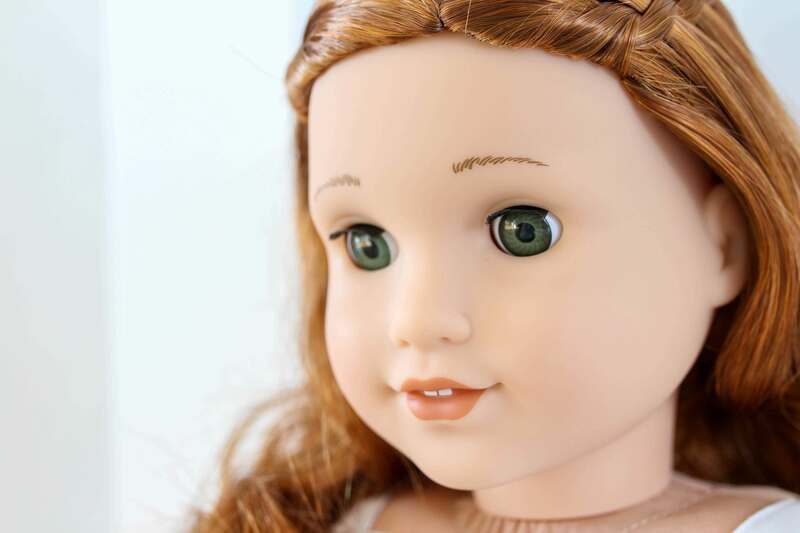 Her eyes are a beautiful green color, but if I were buying her as a collector, I may be concerned about the eye angle. Hair: Blaire’s hair is a beautiful red/orange shade and comes braided back from her face with big ringlets cascading over her shoulders. 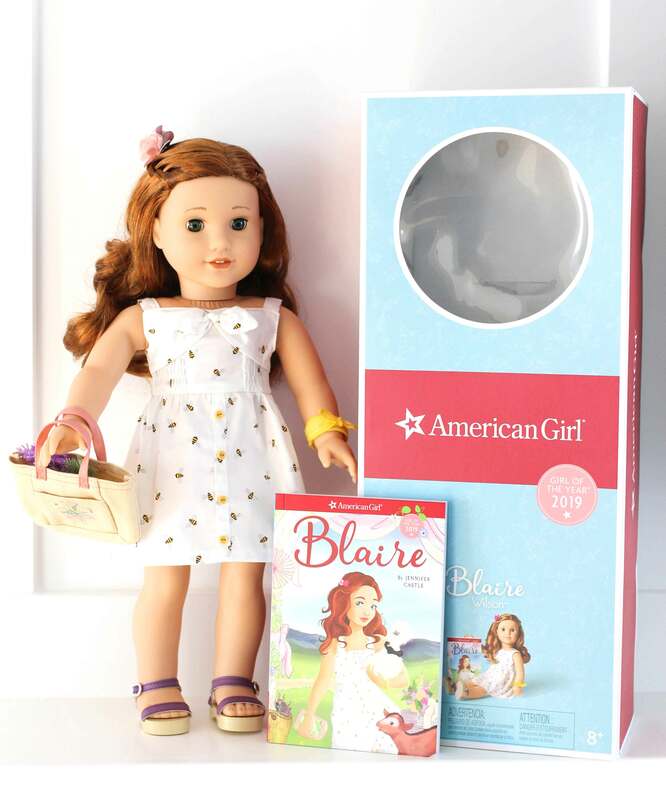 Box: Blaire comes in the classic American Girl box, which displays her face and lifts open. Rather than being fastened with rubber hair ties, Blaire is held in the box with a heavier plastic, which makes it harder to reattach for storage. Clothes: Blaire arrives in a white sundress decorated with bees. She also has a yellow wristband and pink flowers for her hair. Additional clothes include a bridesmaid dress, a floral flair outfit and a gardening outfit with wellies. Jennifer Castle writes because she’s always written. When she was a kid, she would make up serialized stories in her head while riding the bus to and from school. She started writing her first (unfinished) novel at the age of 13. 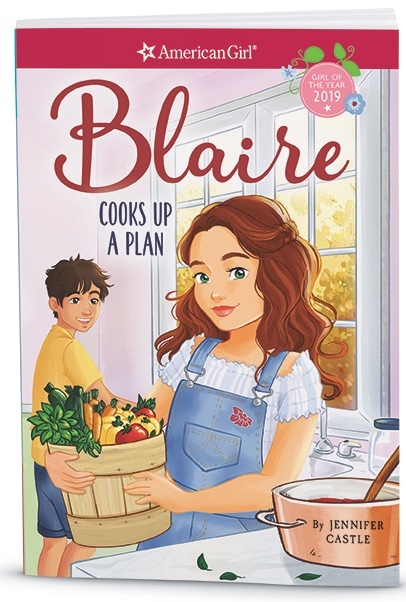 Jennifer is the author of 12 books for middle grade and young adult readers, including Blaire and Blaire Cooks Up a Plan featuring American Girl’s Girl of the Year 2019 Blaire. Jennifer came to writing books well prepared. 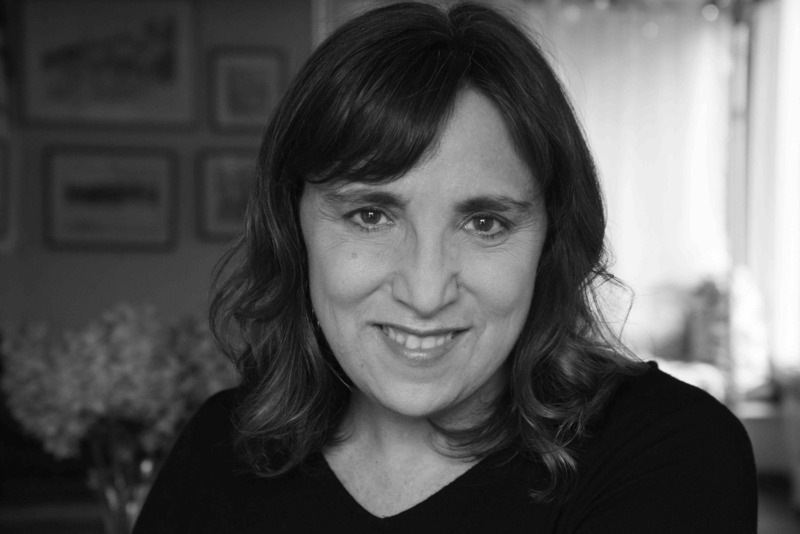 Before moving on to writing full time, she produced educational interactive media for young people, including a website for PBS Kids called It’s My Life. Having grown up in the “Barbie generation,” it wasn’t until her niece became obsessed with the early historical (BeForever) dolls, that Jennifer learned about American Girl. Fast-forward a couple of years. Jennifer had finished writing her fourth YA novel in a row and was looking to switch things up. American Girl had launched its publishing partnership with Scholastic, and Jennifer’s agent suggested submitting her for future projects. Jennifer says she was chosen based on the strength of her previous work, especially her novel Together at Midnight, and her background writing about social-emotional issues. By the time Jennifer was asked to join the “Blaire project,” American Girl had already decided the character would live on a sustainable farm that included a farm-to-table restaurant and event space, and that she enjoyed cooking and using her creativity to make things beautiful. From there, it was up to Jennifer to flesh out Blaire’s world, which includes a bed-and-breakfast, animals, a barn renovation and first farm wedding. Jennifer also created characters like Cat (the farm manager), Grandpa, and Blaire’s best friend, Thea. Along those lines, “coping with food sensitivities” was part of Blaire’s character sketch from the beginning, but the American Girl editors left it up to Jennifer what type of sensitivity that was. Before drafting Blaire’s books, Jennifer read a few contemporary AG books she was not familiar with and reread a few beloved ones. Becoming an American Girl author has certain benefits, Jennifer said. “Some authors get lucky and see their characters come alive on a stage or screen. I’m a different kind of lucky: I got to see my character in doll form and give her a big hug!